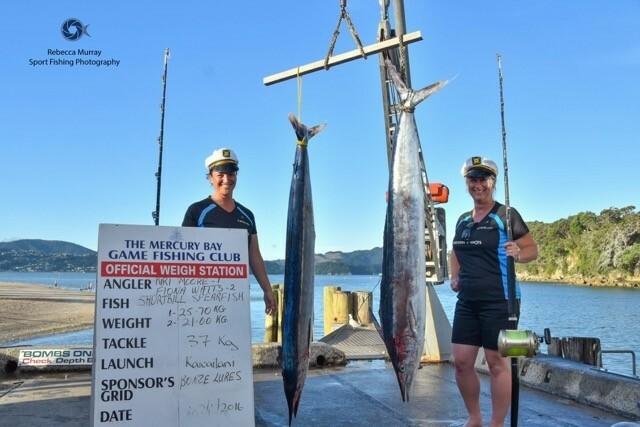 Get your teams and rods together for the Ladies Fishing Tournament in Whitianga! For more information about 2020 and to get your entry forms from the Mercury Bay Game and Fishing Clubrooms or website. Registration will start from 11.00am on Friday morning. In the event of bad weather, there will be river fishing. Details of the area will be over the radio at 5.00am. All Fish prizes will be awarded. Categories will be adjusted by the Ladies Committee accordingly. Briefing will be at 6.30pm. At least one person must be at briefing. Lucky angler draws will only go to those present Friday & Saturday nights. Fishing times this year 5.00am to 4.00pm. Please ensure at least one member of your team has read & agreed to the rules. Saturday night : A roast meal will be available for $10.00 from 6.30pm. Also the club kitchen will be open. THEME : Emergency Services for Saturday night.